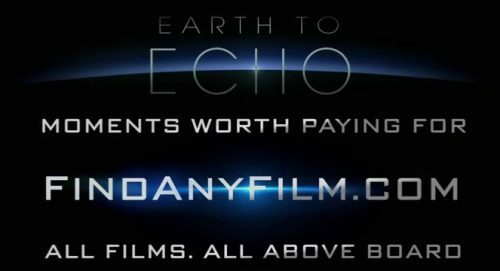 Another great trailer for Earth To Echo has arrived. This time with the co-operation of Find Any Film. The one-stop site for anything film related. The kids and their new friend, Echo, help to get the message across. There are much better way of watching the film that illegally downloading a dubious copy from the Internet. Not only do you get a much better experience but you are helping to keep cinema alive. To celebrate the out-of-this-world release, FindAnyFilm.com has teamed up with Entertainment One to create a great new trailer, as part of their ‘Moments Worth Paying For‘ campaign.